Dr. Wm. Christopher Orr is a therapeutically certified optometrist providing vision examinations, corrective spectacle and contact lenses, therapeutic eye care, and medical eye management for various conditions and surgical care. Born in Buffalo, N.Y., and raised in Ohio, Dr. Orr graduated from Miami of Ohio in 1978 and Pennsylvania College of Optometry in 1982. 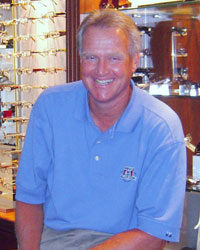 He began practicing optometry in Beaufort, S.C., in 1982 before establishing his permanent practice in Mt. Pleasant in 1986. Dr. Orr is licensed in South Carolina, Georgia and Pennsylvania. He is a member of the American Optometric Association, the South Carolina Optometric Association, and the Coastal Optometric Association. 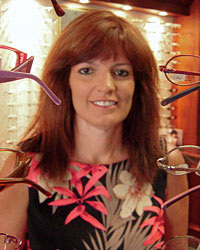 Rochelle joined the Eye Care Center in January 1998 and has been a licensed optician since 2001. She enjoys contributing her skills and talents to an office dedicated to enhancing patients' way of life through improved vision. Rochelle graduated with a B.S. in biology from the College of Charleston. Before she entered the optical business, she worked in hospitality. She was employed by Charleston Place Hotel, where she worked at the front desk and in reservation sales. She received invaluable customer service experience in assisting guests from different cultures. Rochelle was born at the U.S. Naval Hospital in Subic Bay, Philippines. She moved to the States with her family in 1974. Her father was stationed in Charleston in 1977, where he ultimately retired. She grew up in the Low Country and resides in Mt. Pleasant. Nichole joined the Eye Care Center in October 2007 where she moved from Ohio with her husband Tim. Nichole graduated from Columbus State in the Optometric Assisting program. She is a licensed optician in Ohio and South Carolina. 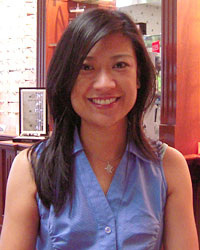 She has worked in many aspects of opticianry, including private practice, lens fabrication and safety eyewear. Nichole has three children. She also is a proud grandma of four, which she would be happy to tell you about. Although she greatly misses her family, she loves the Charleston area and will never take the beach for granted! !